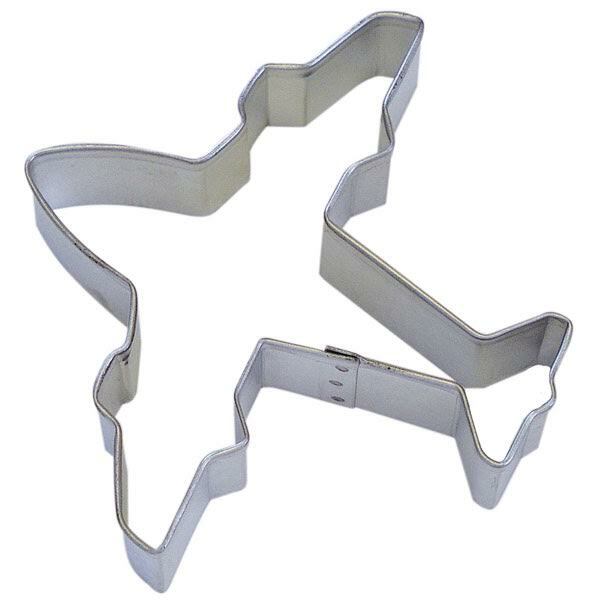 Old fashioned tin cookie cutter that make jet plane cookies. And, everyone knows that an airplane cookie tastes much better than a regular cookie! This cookie cutter is approximately 3.5" from nose to tail with a wingspan of about 3.75".